If you’ve played and enjoyed the Redneck Life board game, then you’ll be delighted to hear that there’s an expansion! It got 5 stars all the way on Amazon , so you can be assured that this is a quality add-on for a game which bills itself as Game of the Year 2006. 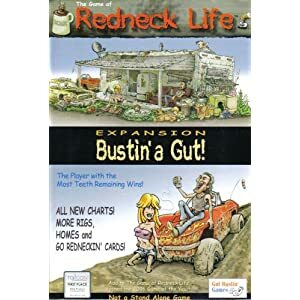 If you own the Redneck Life board game: Bustin’ a Gut Expansion, please rate it by clicking on the Comments link below the eBay listings.